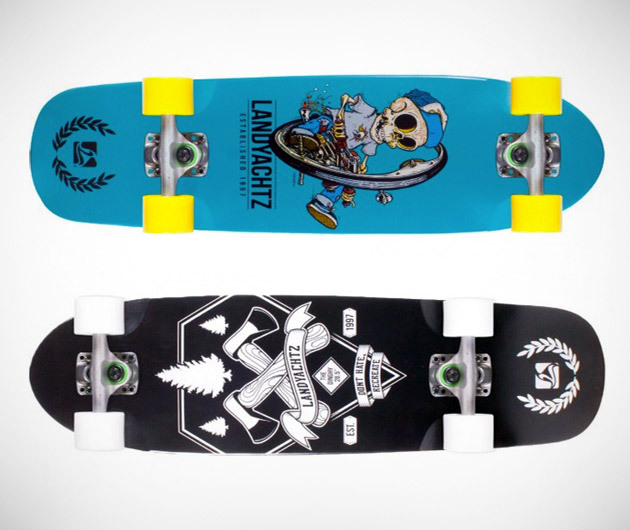 Now with a decade of experience of the decks, the Landyachtz Dinghy Boards have taken another step in the direction of perfection. The resulting board has gained length and width and has incorporated a completely functional kick-tail. Sunken wheel wells mean you can ride on chunkier wheels and there are six radical paint-jobs to choose from.